The Dependency Detail tab lists the order in which tables will be written to Salesforce, the referenced tables occurring later in the list of tables, and the original table dependencies from the Salesforce metadata. 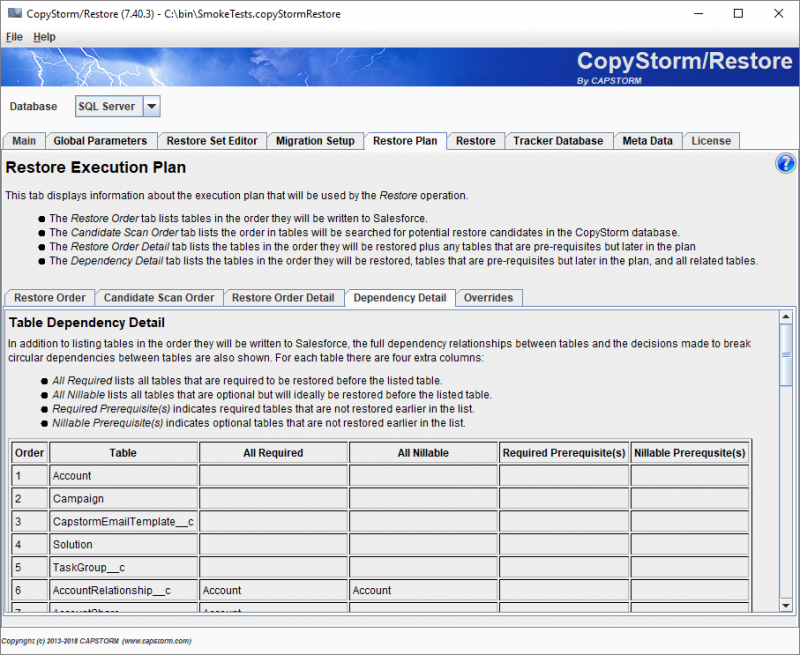 This page contains similar content to the Restore Order Detail tab, including two additional columns. The “All Required” column lists all tables that must be restored before the table in the second column. The “All Nillable” column lists all tables that are referenced by nillable reference fields in the table in the second column. For example, the AccountRelationship__c on line 6 has both a non-nillable reference to Account and a nillable reference to Account.